Anguilla… rhymes with vanilla, but most likely takes its’ name from the word ‘eel’ in various European languages due to it’s unique shape. Although the island has gained popularity in recent years thanks to A-list visitors like Liam Neeson, Orlando Bloom, and Miranda Kerr, Anguilla has long enticed in-the-know travellers to experience any number of it’s 33 pristine beaches. A British overseas territory located in the north eastern region of the Caribbean, just five miles north of St. Maarten, and 150 miles east of Puerto Rico, the island is best known for its powder-white sand beaches, all with crystal-clear turquoise waters matched by few places in the world. Its warm, friendly people keep visitors coming back with an island culture infused with a love of the land and dependence on the sea, reflected in its history and cultural festivals that celebrate Anguillian traditions of fishing, boat racing, and cuisine. Now, the re-opening of the famed Malliouhana Resort & Spa has placed Anguilla again at the forefront of the global conversation. Special offers and new dining options all create great reasons to choose Anguilla for that special winter getaway. The 25th Annual Moonsplash Music Festival will take place March 27-29 under the full moon on gorgeous Rendezvous Bay. Hosted at The Dune Preserve, it is the longest running independent music festival in the Eastern Caribbean and highlights some of the biggest names in reggae and popular emerging talent. The following weekend, Easter weekend, April 4-5, is the 7th Annual Festival del Mar. An epicurean celebration of all things from the sea, it is hosted in the picturesque fishing village of Island Harbour and features a multiplicity of seaside activities, including fishing competitions, culinary competitions, swimming races, crab races, and of course, Anguilla’s National Sport and beloved pastime, boat racing. The renowned Malliouhana Hotel & Spa re-opened its doors in November 2014 after a three year closure and restoration by Auberge Resorts. 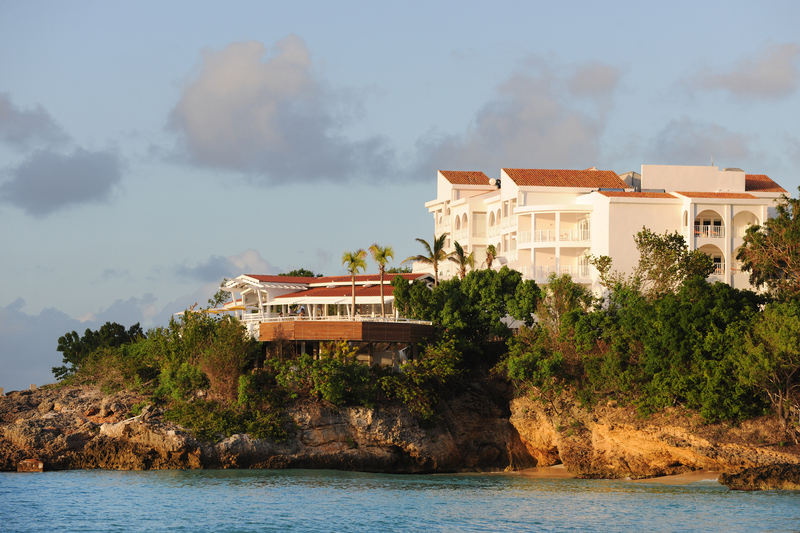 Malliouhana has been considered one of the finest resorts in the Caribbean since its original opening in 1984. The resort features 55 rooms, two beaches, two restaurants and bars, an extensive array of sports and fitness facilities as well as a 15,000 square-foot spa all on 20 acres of elevated beachfront land. Nightly rates start at $525 for a garden view deluxe room, inclusive of a continental breakfast buffet for two. Ce Blue Beach Resort & Villas, Anguilla’s first and only luxury private residence club, has introduced a new concept for Caribbean vacations: the hybrid villa-resort. CéBlue encompasses just eight private villas, all with lush native landscaping, dramatic oceanfront vistas and configurations up to six bedrooms. Outside, each villa has a spacious 2,000 square foot covered deck plus 3,000 square feet of open terrace with a private pool, outdoor rain shower & bath. While privacy is paramount at CéBlue, guests who seek out a more traditional resort experience can take advantage of a clubhouse with luxury resort amenities and a variety of beachfront activities and entertainment options. Beaches Edge has recently enhanced their two five-bedroom West End Villas with all new soft furnishings. Travelers will enjoy brand new luxury bedding and bath linens, updated accessories and expanded pool-side seating and umbrellas. Frangipani Beach Resort acquired the villa formerly known as Seychelles in January 2015. The five-bedroom/four-bathroom villa, scheduled to open in November 2015, is the only one of its kind directly on Meads Bay and features a private infinity pool, butler service and access to the amenities at Frangipani Beach Resort including the fitness facilities and complimentary water sports. Nightly rates will start at $3000. Kishti Villa Collection will introduce not one but two new six-bedroom retreats to Anguilla’s amazing Meads Bay on March 18, 2015. Known as Kishti on Meads, the twin villas launch the brand-new Kishti Villa Collection, which also includes the five-room Kishti at Black Garden, a few miles east on Anguilla’s north shore. Each villa highlights capacious interiors featuring dramatic floor-to-ceiling windows overlooking the sea (“kishti” is Urdu for canoe), with Cecconi Simone-designed interiors highlighting Eastern objets d’arts and Western artworks that create a distinctive environment of unusual refinement. The new six-bedroom villas offer: two kitchens per villa; patio and rooftop gardens; a home theater and home office; personal gym; and a staff of 11, including a butler and chef. The Kishti Villa Collection is exclusively represented by Ricketts Luxury Properties. 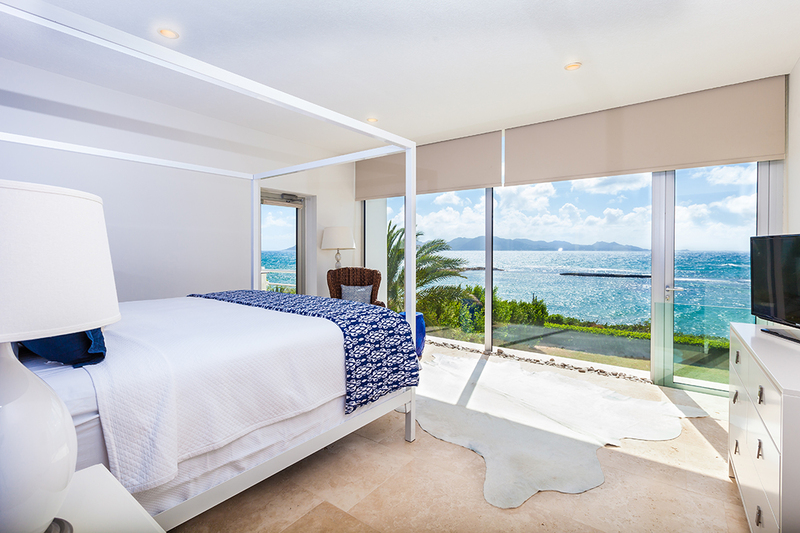 Altamer resort in Shoal Bay West recently renovated and transformed one of its three beachside villas, the Russian Amethyst, into an art villa. Curated by Jennie Lamensdorf, the villa boasts a variety of contemporary paintings from the personal collection of Francis Greenburger, Chairman and CEO of the resort’s New City-based developer, Time Equities Inc. (TEI). 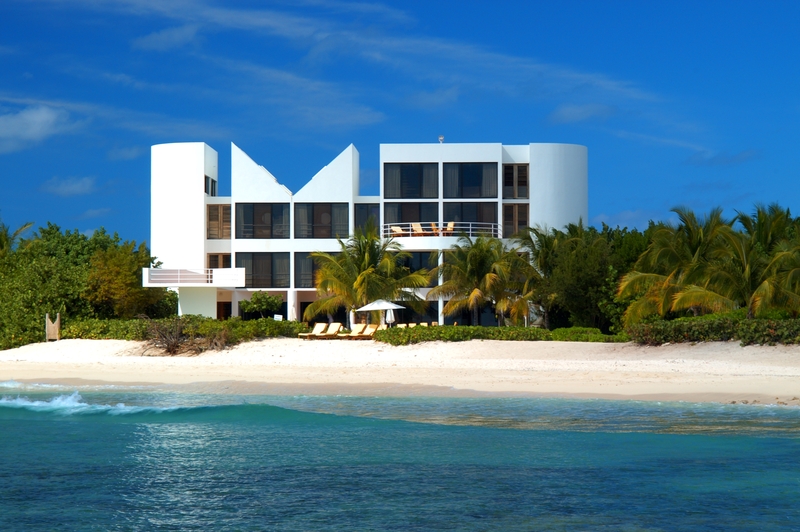 Properties in Paradise, one of Anguilla’s premier real estate and consulting firms, has added the seven-bedroom estate Santosha Villa available for weekly rentals, and added the newly re-launched Elements Villas (Sea, Sand and Sky), formerly Temenos, to the firm’s portfolio. Lastly, Zenaida Beach & Tennis Estate is offering their summer rates for the whole winter season, a savings of nearly 50 percent. The swanky Viceroy Anguilla is offering packages for Valentine’s Day for couples having large destination weddings or small, intimate gatherings to tie the knot. The Love & Legacy Package applies to groups of at least 100 adults staying for three nights and starts at US$500 per person, while Love in the Sky rewards couples who book six roundtrip seats on a Tradewind Aviation flight from San Juan to Anguilla with complimentary seats on the same flight. For those who prefer a couples-only ceremony, Love is Simple and The Elegance of a Vow include the wedding ceremony, a dedicated wedding specialist, a three-course dinner for two at the resort’s signature restaurant Coba and more. The packages are US$4,200 and $4,800 respectively, and also include personal assistance with the marriage license and certificate service. Of course, the fun doesn’t stop after the ceremony, as couples who host a wedding with more than 100 rooms will receive a complimentary five-night stay in a suite, a romantic dinner for two and a bottle of Veuve Clicquot champagne for their first anniversary. Allamanda Beach Club is offering a Couples Spring Break Getaway. The four-day package includes daily continental breakfast, car rental for the four days, a one-hour glass bottom boat ride, a 40-minute massage for two and dinner for two on the final evening. The package is $1,640 and is valid April 15 through December 15, 2015. 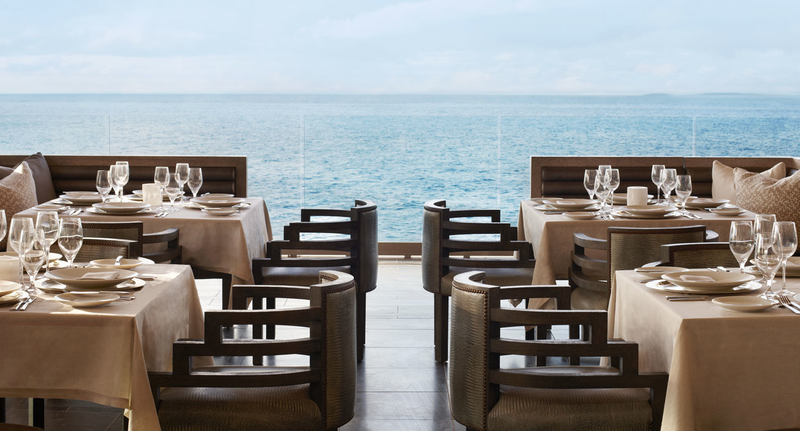 Café de Paris offers a blend of French and Anguillian specialties. Led by the team that operated Big Spring restaurant in Island Harbour, Café de Paris is set among a lush garden in the West End of Anguilla. Dad’s Restaurant on Sandy Ground is offering “You Catch It – We Cook It” for fresh seafood at its best. Patrons can bring in their freshly caught fish for the chef to prepare it to their liking with three side dishes. Dad’s also features live music and dancing in the evening. Daisy’s is another restaurant new to the Anguilla scene. 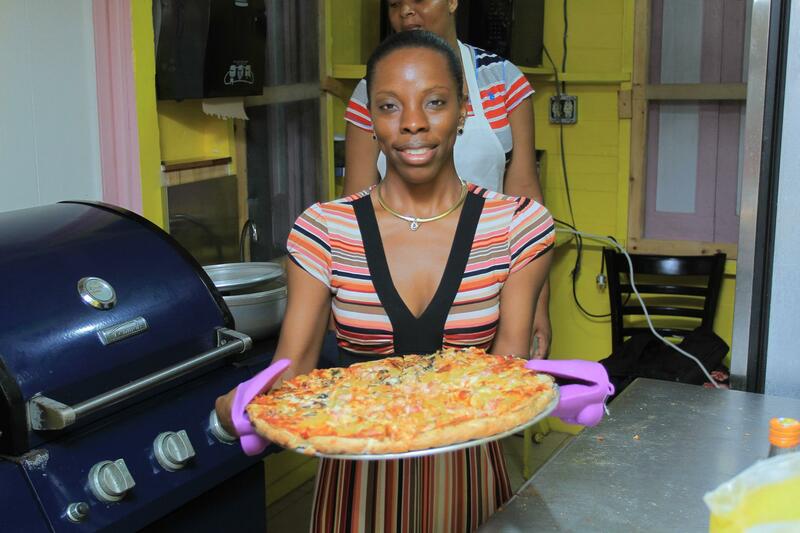 Located in a traditional Anguillian home in George Hill, the restaurant serves Caribbean food as well as thin- and thick-crust pizzas. Daisy’s is open Monday through Saturday for lunch and dinner. Ruthy’s Yum Yum is a new locally-owned restaurant featuring fusion-style menu options and international flair. Located in Little Dix, near Shoal Bay East, the restaurant is open for breakfast, lunch and dinner. 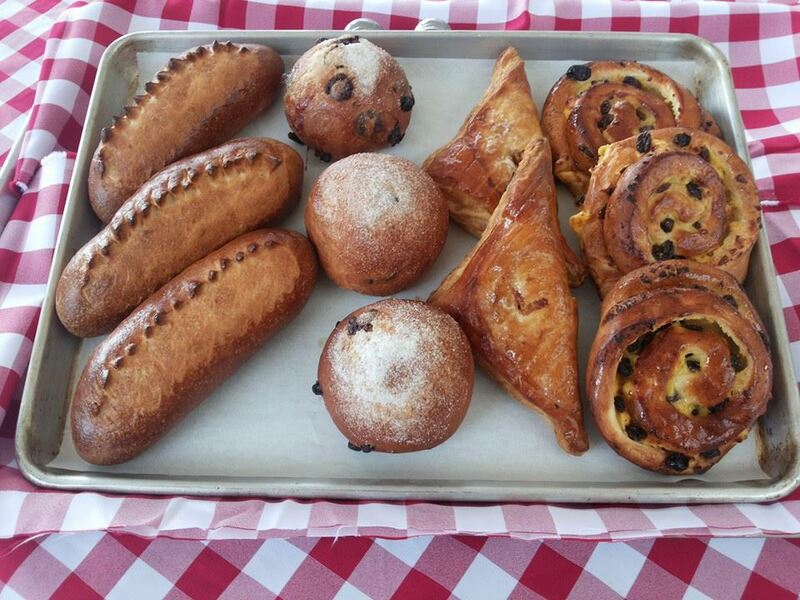 Sarjai’s Restaurant opened in December 2014 by Chef Darren Connor, a member of the Anguilla National Culinary Team. Named for his daughter, the restaurant is located on Meads Bay and features a menu of local and regional dishes with an international flair. Sarjai is open Tuesday through Sunday for lunch and dinner. Romney’s is Anguilla’s newest restaurant, located in Lower South Hill. Serving tasty local cuisine and favorites such as oven-fresh pizza, succulent burgers, mouthwatering quesadillas and more, Romney’s is the place to dine this winter and is under the capable direction of Chef Kevin Paul. Anguilla is easily accessible via daily flights that connect directly to Anguilla from San Juan or St. Maarten. 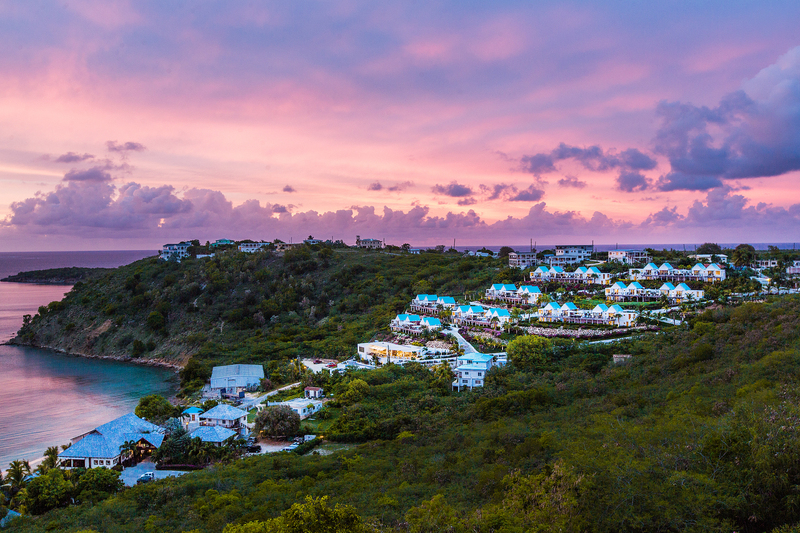 For those coming from St. Maarten, Anguilla is just a short seven-minute flight or 20 minute ferry boat ride away.